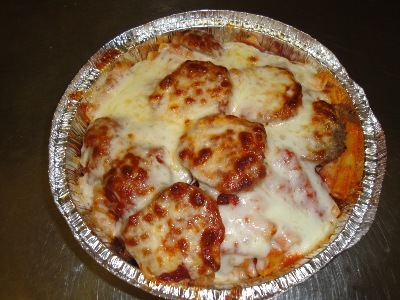 This is a chicken parmigiana. 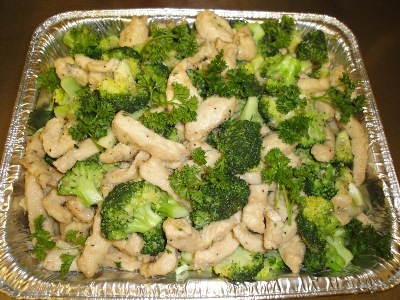 Chicken and Broccoli, served over Rice, Spaghetti, Ziti, or Linguini. 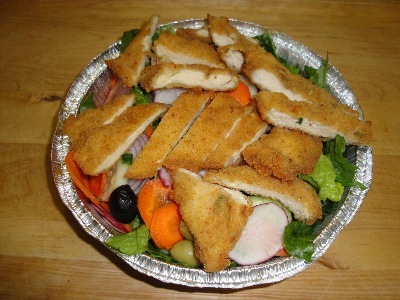 This is the catering size! 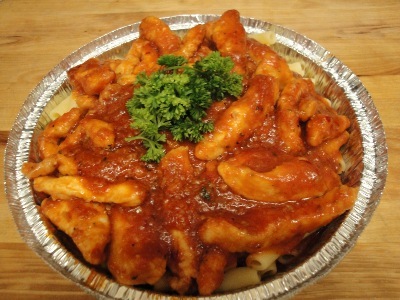 Chicken Fradiavolo served over Spaghetti, Ziti, Lingini or Rice! 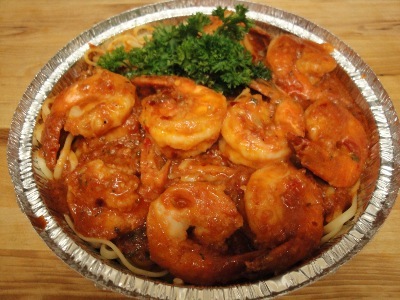 Shrimp Marinara served over Spaghetti, Ziti, Lingini or Rice! 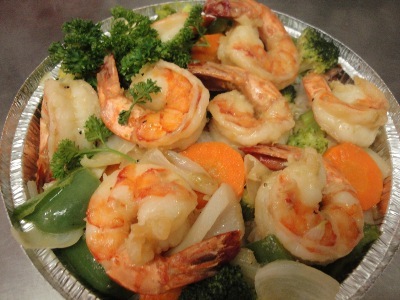 Shrimp with Mixed Vegetables served over Spaghetti, Ziti, Lingini or Rice! 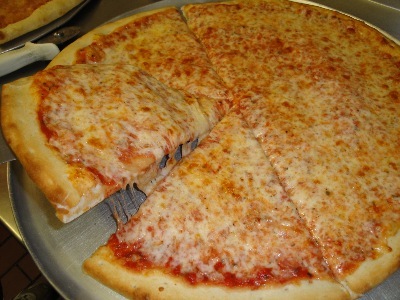 Our Fresh Pizza! 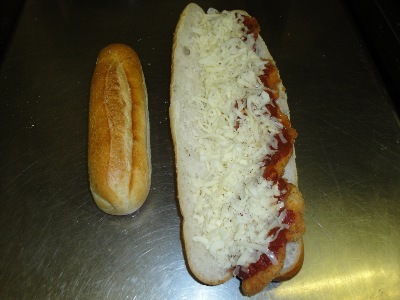 Made with the perfect combination of Venice's homemade pizza sauce and dough and cheese! 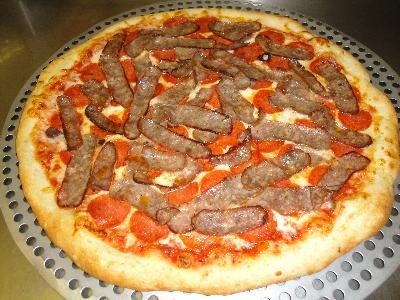 Pepperoni and Sausage Large Pie! 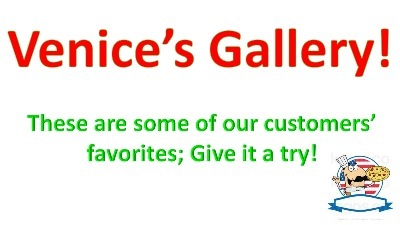 You can also buy this by the slice! 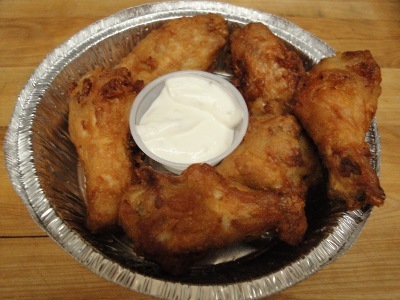 Venice's Buffalo Wings, made on premises! 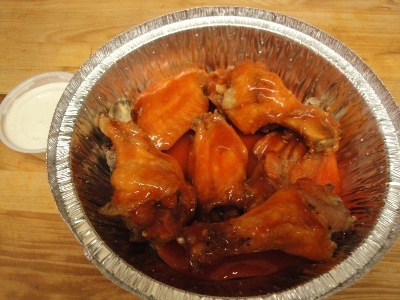 Hot Wings! 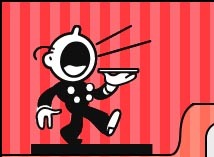 This comes with a side cup of blue cheese! 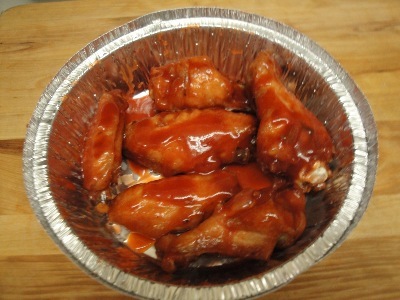 BBQ Wings! 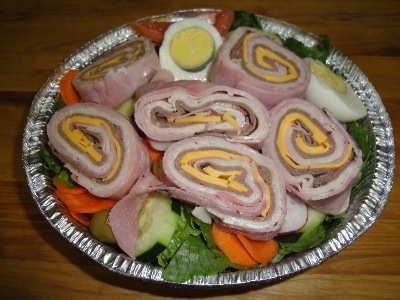 Great for Superbowl! 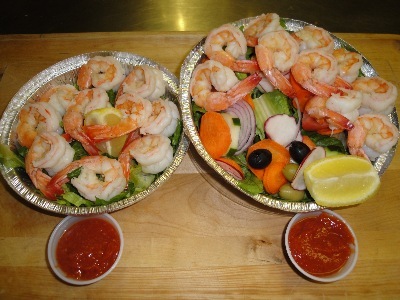 We also have this in half water dish size! 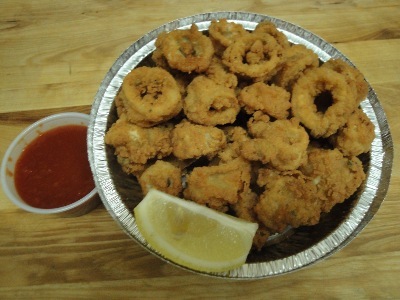 Fried Caramari! 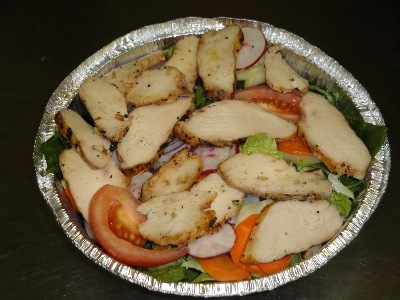 Can be served with French Fries too! 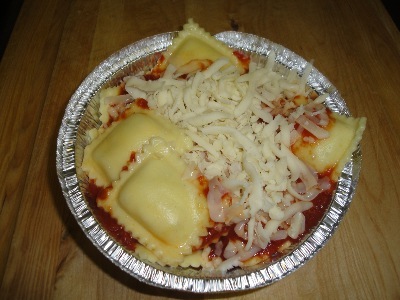 Lemon and Marinara sauce is included.